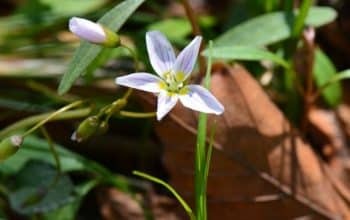 During a recent trip to the annual Great Smoky Mountain Spring Wildflower Pilgrimage, I was overwhelmed by the incredible biodiversity of native plants and animals, interwoven in their natural habitat in the Smoky Mountains, making up one of the healthiest and most beautiful ecosystems I have ever encountered. Instead of the endless Japanese Barberry thickets I notice at home in spring, one of the earliest plants to green up in our Northeastern woods, I was treated to vast expanses of Rhododendron calendulaceum (Flame Azalea). In the place of the reviled Garlic Mustard and Japanese Stiltgrass, I encountered lush stands of Packera aurea (Golden Ragwort) Tiarella cordifolia (Foam Flower) and Claytonia virginica (Spring Beauty). It’s not every day that I get to see carpets of Phlox stolonifera (Creeping Phlox) by the side of the road instead of the ever present Mugwort I see here in New York. The Great Smoky Mountain National Park is one of the most bio-diverse areas in the world, with an estimated 100,000 species including over 4,000 plant species, 1,500 of which are flowering plants. You get the point of all this when you step out of your car in a parking lot and see Trillium luteum (Yellow Toadshade) and Trillium simile (Sweet White Trillium) by your feet, inches away from the blacktop. And as you scan the parking lot you notice at least a dozen native species growing within three feet of the roadside, which you just saw offered at your local native nursery for $12 a pot. Is this a modern day Garden of Eden? A paradise untouched by man? Impossible to emulate in the home landscape? Think again. Be inspired, encouraged, and empowered. Settlers moved into the Smoky Mountain region in the late 1700s and clear-cut vast acres of pristine forest in order to set up their farms. If that wasn’t a big enough blow to the environment, in the early 1900s the area became the playground of logging companies, thrilled to find 500-year-old Tulip Poplars as wide as Volkswagens and ancient Chestnut trees which towered like Redwoods over the landscape. These ecstatic loggers removed an astounding 80% of the primeval forests in the Smokies. They likely would have continued, without the creation of The Great Smoky Mountain Park in 1934, which put a stop to these saw-happy loggers. A denuded, pillaged landscape in 1934 has become an ecological paradise in 85 years. The current richness of species makes the Smokies the poster child for a healthy ecosystem. When asked why the deer don’t devour the fantastic, tasty buffet of spring wildflowers, a park ranger says: “we have deer, but they aren’t a problem.” This is truly nature in balance where an ecological system benefits from its own checks and balances. 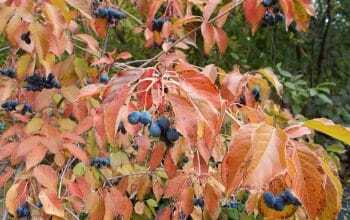 Invasive plants and pests exist in the Smokies, but they have not reared their ugly heads to the same degree we see in most of our American landscapes. I winced when I saw a home landscape, just outside the perimeter of the Park, with Running Bamboo overtaking their front lawn. And, I was baffled to see numerous Callery Pears used as a street plantings, in lieu of any of the 120+ beautiful native trees, readily available. A giant red flag, a warning sign – keep this up and the Smokies will look like every other degraded landscape in the U.S.
“Ok” you say, “so what does this have to do with my landscape?” Well, you know the expression: “you are what you eat?” think about your landscape’s health depending upon “how you garden” and “what you choose to plant.” I was very pleased to come home to my own landscape and realize that many of the native plants in my own garden are the same native plants I saw in the Smokies – Lindera benzoin (Spicebush), Cornus alternifolia (Pagoda Dogwood), Viburnum acerifolium (Maple-leaved Viburnum), Hepatica nobilis var. obtusa (Round lobed Hepatica), Aquilegia canadensis (Canada Columbine), Mitella diphylla (Bishop’s Cap), Polygonatum biflorum var. commutatum (Giant Solomon’s Seal), Phlox divaricata (Wild Blue Phlox), Sanguinara canadensis (Bloodroot) and so many more. A little taste of the Smokies right here in New York. Twenty years ago when we moved into our home I could count the number of plant species in our yard on my two hands. 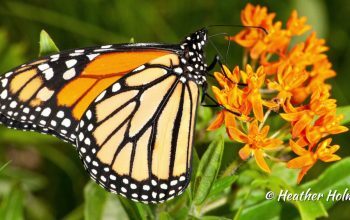 Over the years I have planted an abundant, diverse selection of native plants and in turn, I am rewarded with an equally abundant variety of bird, insect and other animal species which use these plants. Yes, I have more challenges with pests and diseases in my own landscape than that which occurs in the Smokies, but I have a pretty healthy little ecosystem right here at home in New York. I truly believe that if we garden for the health of our ecosystem we can make an incredible, positive impact on our environment. It worked in the Smokies – from clear cut forests to ecological wonderland – it worked in my own landscape, and it can work in yours. 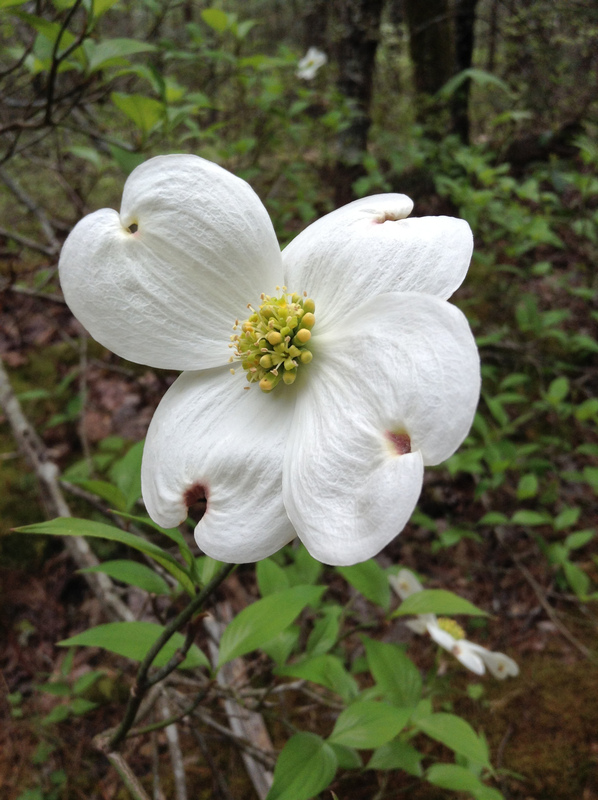 Take this inspiration from the Smokies and plant regionally native plants in your own garden this spring. Your ecosystem will thank you. 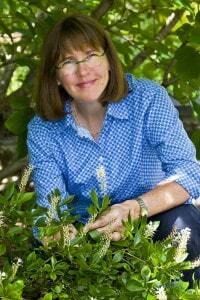 Happy Planting from Kim Eierman at EcoBeneficial! My father tells me that the flowering pear trees that are everywhere in New Jersey were chosen and planted in the cities because they can tolerate a lot of car exhaust. Aargh! I also love creeping phlox! Amen, Kim! This is a good year for many of my natives. I envy your time down South and hope to join you next year!